A server is essentially designed to process queries and deliver data to other computers via local or wide area network or to the internet. Servers are meant to serve data to the client that requests information. This data may be any type of data such as normal MS Office files, pictures, videos, drawings etc. File Servers – serves all types of file or data. Exchange Servers – this is a collaborative email server either located on a premise hosted in a network operating centre. Email Servers – facilitates the sending and receiving of email messages. FTP Server – supports the moving of files through File Transfer Protocol tools. Domain or Active Directory Servers – supports logins and security roles for authorized users. The foundation of any balanced and efficient IT network is the server. 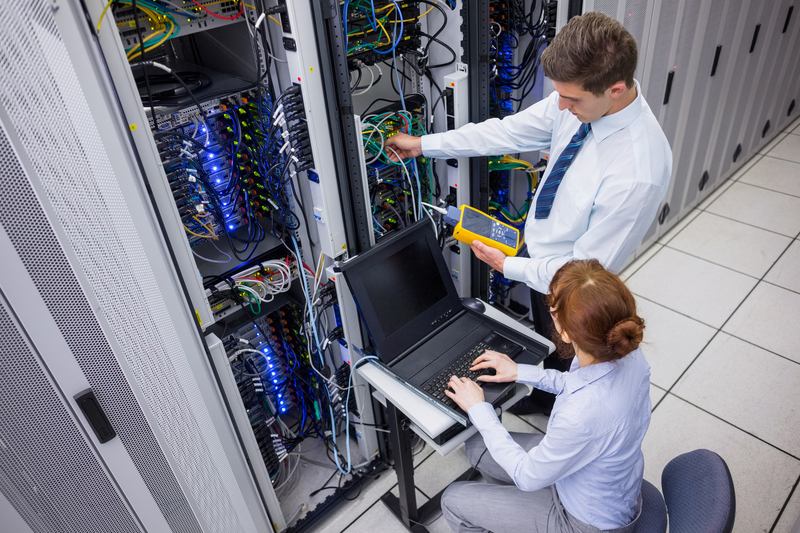 Server equipment, like any piece of professional equipment, requires regular maintenance to ensure they work optimally. If a server’s software is not kept up-to-date, it can become insecure and decrease in performance quality. Furthermore, the server’s responsiveness can decline, which leads to slower loading time and more downtime for your employees. Server support in Vaughan is imperative for businesses to operate on a day-to-day basis. Server maintenance safeguards against any potential failures and cleans up errors before they become major issues. When you take proactive steps with server support it improves business productivity and efficiency. Maximize the performance of your computers and network with server support in Vaughan. Be proactive. Replace or upgrade your server to achieve the most out of your IT solutions. Contact Computer Master today for a FREE estimate! Aside from this, your server may be Co-Located in one of our Network Operating Centres [NOC] or you may rent servers from us, normally referred to as Infrastructure As A Service [IAAS].